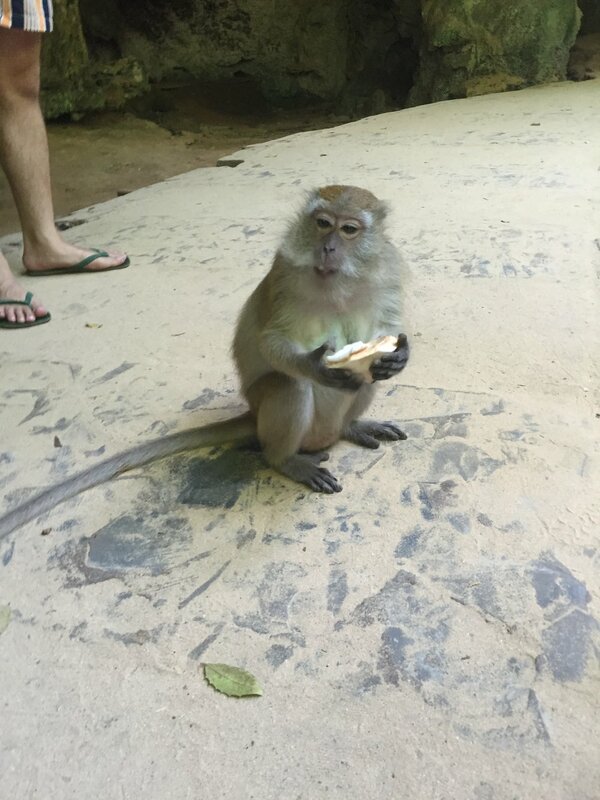 If you want to be mobile and see different beaches and sights every day, Krabi is the place to be. 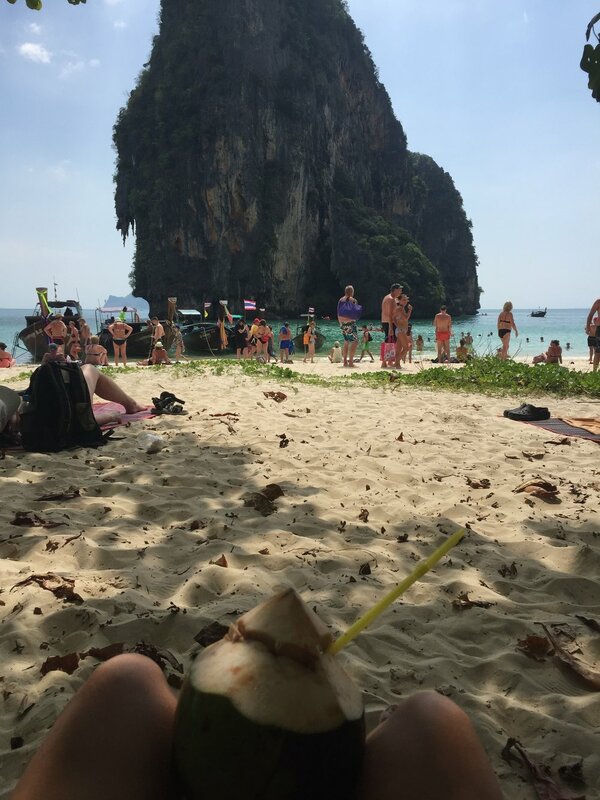 Its base is called Ao Nang, and while it's a main tourist hub, it does offer a ton of differing accommodations for travelers looking for beach trips by day and lively bars by night. Hop a long boat and hit the finest beaches you've ever seen. First up is Railay, the most popular with dining establishments, shopping, street stalls and views to boot. 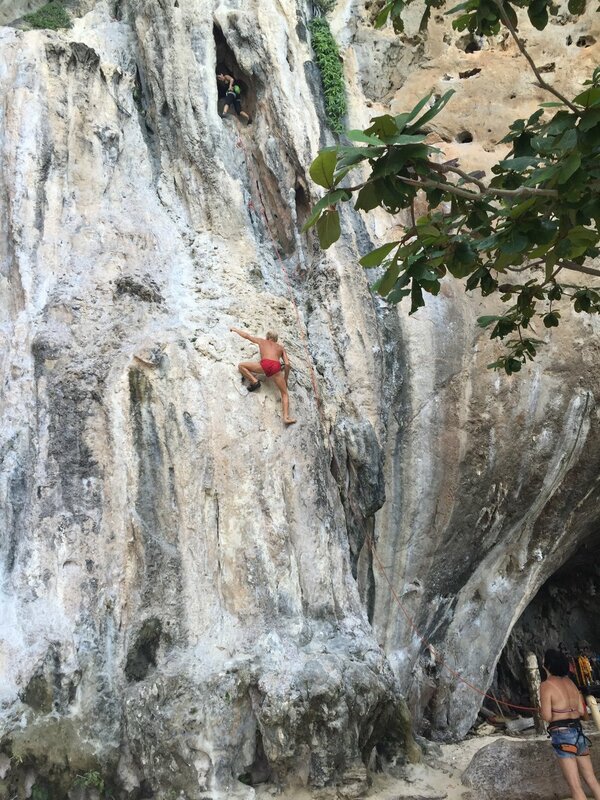 Next up is Ton Sai, a rock climbers paradise with scaleable cliffs. Bring your own food if this is your final destination, as they have very limited options outside of a DIY picnic. 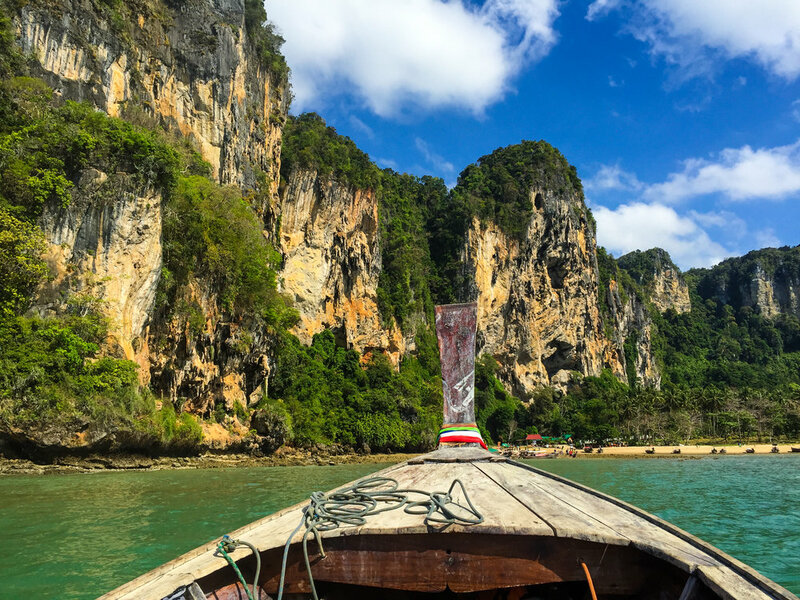 Finally, and my favorite, is Phra Nang, an oasis where you can kayak through caves and a GORGEOUS bay. It's also home to boat vendors that will sell you snacks like street corn and coconuts, and the famous phallus shrine, which requires no explanation. Other hits are James Bond Island and Hong Island, accessible by a rented long boat or a curated four island tour from a tour operator. If you're a steak and red wine aficionado like myself, this is finally the place to indulge after days and days of sampling the local cuisine. You grill your own steaks on a hot stone and sides include items close to home like potato gratin and croquettes. Two-for-you cocktails, cheap happy hour eats (like a squid tempura) and views for days over the beach on this rooftop lounge directly next to the Ao Nang port. If you're weary of hostels purely for the sleeping-with-strangers aspect, have no fear. This place has carved out "cubby holes" that make each bed feel like you're sleeping in your own little den. You have full privacy and don't have to worry about any "bunk" feel. Bonus: the roof deck has sweet views.